Lodrö Tulku Lobsang Champa Khedup Namgyal Rinpoche was born in 1942 in Eastern Tibet and was confirmed as Tulku at the age of three. 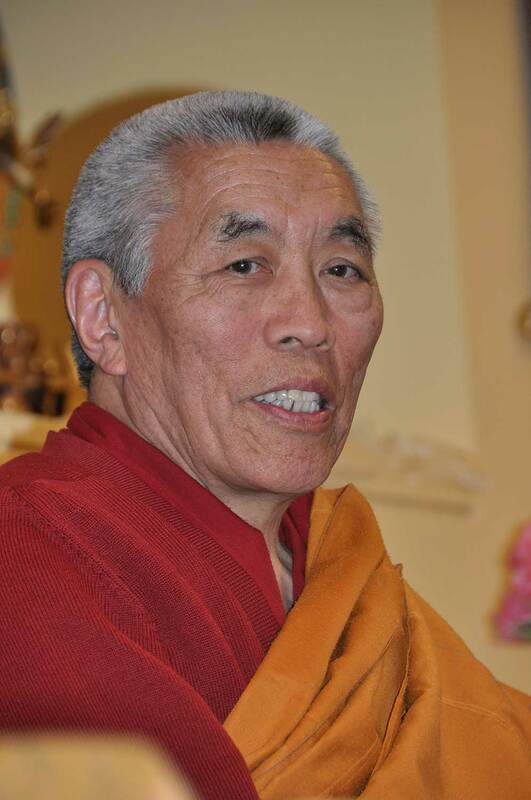 He is the fifth Tulku of a line of masters, who dedicated themselves above all to the study and practice of the Choir. The second Lodrö Tulku Jampa Temple Rinpoche was a very famous chodrod master and a great authority in his field, he was considered as a manifestation Padampa Sangyes, the teacher of Machig Labdrön. He accomplished extraordinary deeds and wrote many important texts. Some of his students became very famous themselves. The third Lodrö Tulku died early. The fourth in the reincarnation line was the late chod master Lodrö Tulku Lobsang Namgyal Rinpoche, who died in 1941. He was also regarded as a manifestation of Padampa Sangye and practiced chod throughout his life for countless living beings. As the fifth incarnation in his line, Lodrö Rinpoche received a traditional monk training and was carefully prepared for his task as a spiritual teacher. At the age of seven, the little monk received the Choed initiations from his first teacher, Geshe Jampa Khedup Rinpoche. Rinpoche has already practiced chod as a child in groups and families. Many important teachers of the Gelugpa school taught the adolescent Tulku and taught him the wisdom of Buddha Shakyamuni. 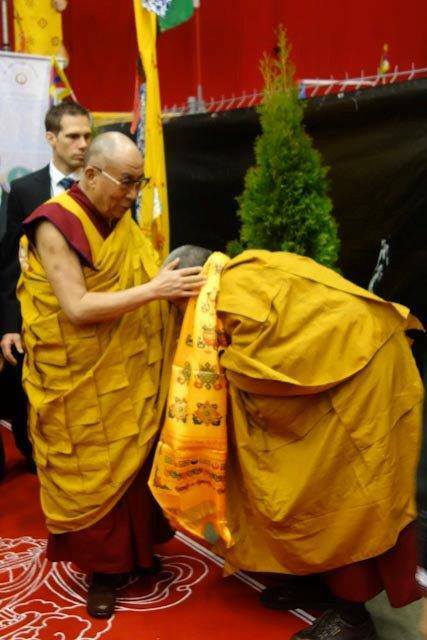 He received the inheritance of the great Lama Tsongkhapa and detailed teachings in his personal specialty, the wisdom teachings of the Choir in the tradition of the Powerful Labdron. After his dramatic escape from Tibet, he received full monastic coordination from his main teacher, the great Kyabje Trijang Rinpoche, in 1962. 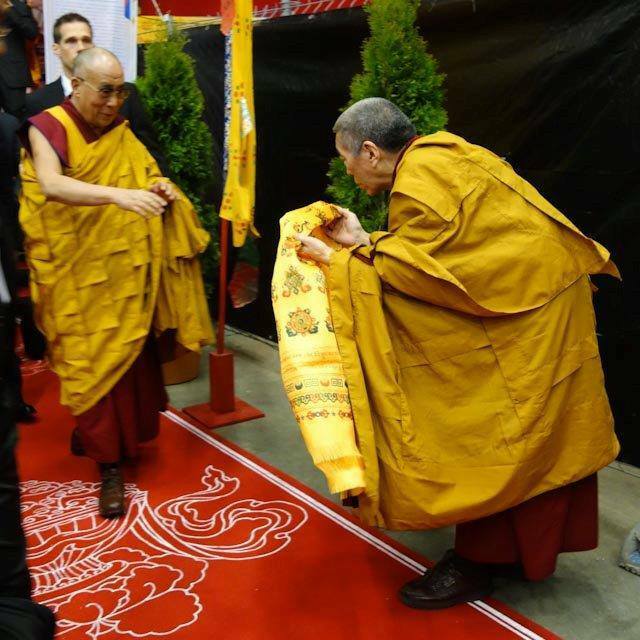 In 1967, Lodrö Rinpoche was sent to Switzerland by the Dalai Lama to help build the first Tibetan monastery in Europe. Rinpoche lived for 34 years in the monastery of Rikon and due to his fluent knowledge of English and German as well as his teaching experience at the University of Calcutta, he quickly became an important mediator between West and East. In 1987 he became a Swiss citizen. 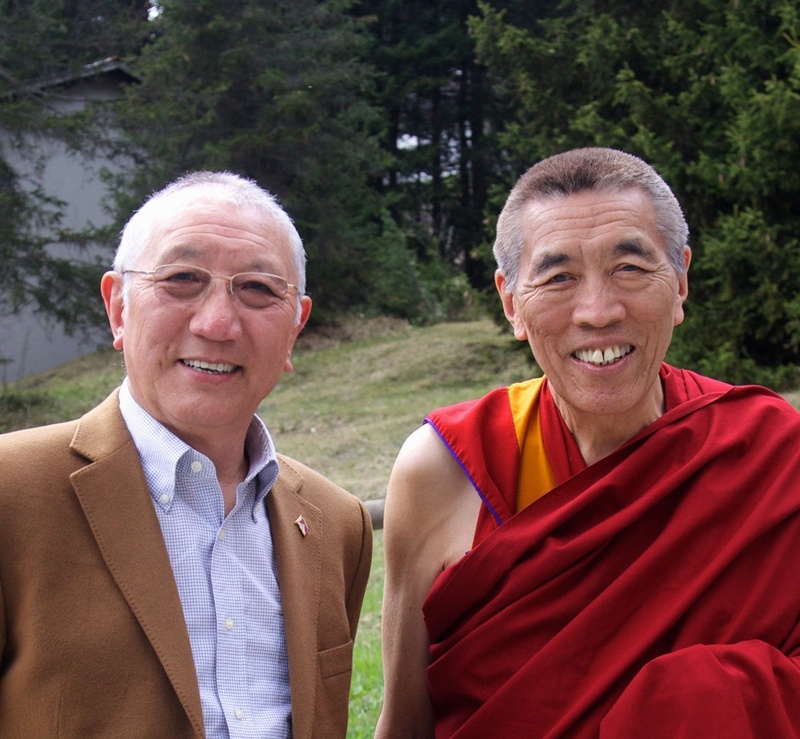 In 2000, Rinpoche founded the Samdup Dölma Ling/Wish-fulfilling Tara Island Centre in Erlenbach am Zürichsee (www.samdup.org), where he has been living ever since. Over the years, Lodrö Rinpoche has built up a very extensive collection of rare Buddhist texts and devotes a large part of his time to the translation of these texts into German and English. 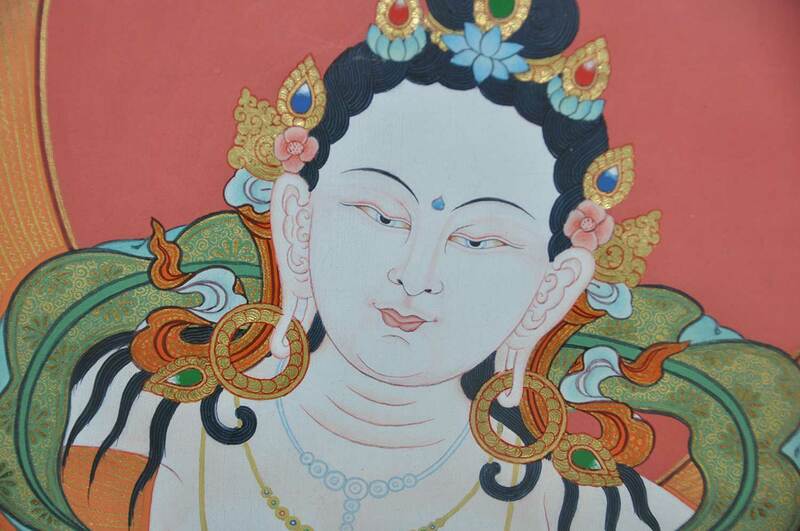 The practice of the Medicine Buddha and the Arya Tara are of particular concern to him. As a committed teacher, he gives his students lessons and guidance in Lam Rim, Chöd and all disciplines of Sutra and Tantra. He is doing his utmost to transfer this wisdom teaching in an authentic way into Western culture. At the time when Buddha Shakyamuni was on earth, many of his disciples attained enlightenment. They all overcame their obscurations and were therefore called enemy conquerors, Arhats. They form a group of sixteen enlightened masters known as the Sixteen Arhats. As bodhisattva, they vowed not to enter into Nirvana, but to work for the benefit of sentient beings. So they went out to spread the teachings in all directions. The 16th Arhat, Abheda, or Tibetan, Michedpa, turned northeast to the mountains of the Himalayas. For his farewell, the Buddha presented him with a choirmaster, which he now carries with him as a symbol. In a much later period, around the 18th century, a wandering monk reached Samdup Monastery, in the lower scree valley in the north-east. 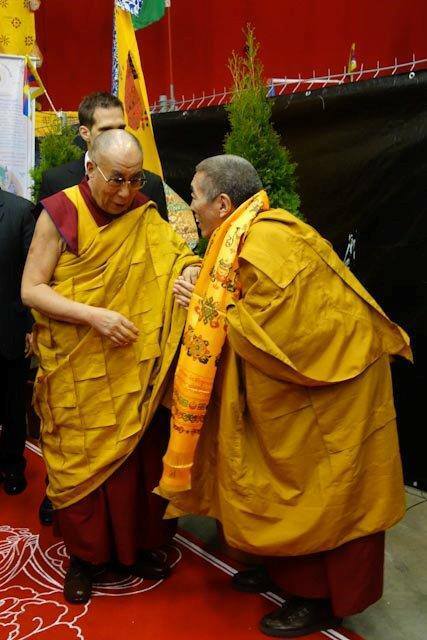 He was a master of the choir and was invited by the monastery’s tulku to stay and teach. He stayed at Samdup Monastery until the end of his life. 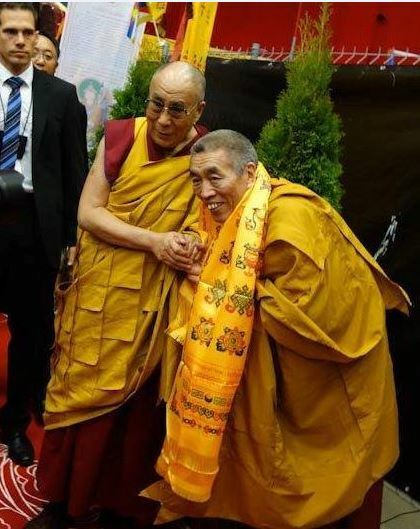 After his death, his rebirth was found and placed in the monastery and established the Lodrö Tulku line. The tulcus of this line is considered to be manifestations of Arhat Michepa. The current Lodrö Rinpoche is now living in Switzerland and, like his predecessors, is studying, teaching and practicing the practice of chod. Lama Lodrö Rinpoche’s vision is to found a centre, a house in the mountains, where his teachings, especially the teaching of the Choir, can be made accessible to interested people. The new Choir and Meditation Centre Ganden Chökhor in Churwalden in the Swiss mountains fulfils this dream. It became a place for study and practice of Tibetan Buddhism. After the renovation, the first courses will be held here in summer 2010 under Lama Lodrö Rinpoche’s direction. He teaches the practice and theory of chod in German, English and Tibetan. The acquired knowledge can then be deepened under expert guidance, in individual and group retreats.